Most people are pretty familiar with seeing guide dogs at the side of visually impaired people. But have you ever thought about how these incredible dogs learnt their set of skills? For Gail Glover and her team at the South African Guide-Dogs Association, training these smart dogs is all in a day’s work. Dogs have been companions to blind people for centuries. An ancient Roman mural even depicts a blind man with a dog. Yet South Africa’s first official training school was only established in 1953 by Gladys Evans after she returned from England with her guide dog, Sheena. Training a guide dog is no mean feat. Training starts at about 1 year and takes 18 to 24 months to complete. And about a third of the puppies don’t make the cut. Not because they are less cute or smart, but because a very specific temperament and skills set are required. 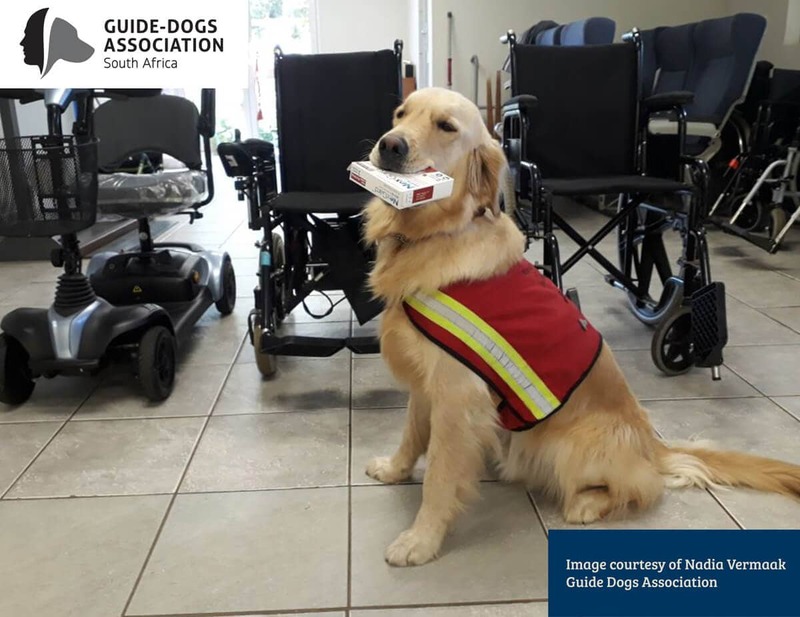 Naturally, the trainers at the Guide Dog Association (GDA) are themselves well-trained at spotting dogs’ potential for this occupation. They also have tons of patience — the training is thorough as these dogs will be taking responsibility for people’s lives. And although it hasn’t been conclusively proven that a Yorkie, Dachshund or Greyhound cannot become a guide dog, the GDA clearly prefers three breeds: Golden Retrievers, Labradors and German Shepherds. They also breed their own dogs to promote certain characteristics under Head of Kennels and Puppy Raising Leigh De Beaufort. As the only institution in the country formally training guide dogs, the need is great. When you talk to the GDA team, the passion for their work is tangible. For Nadia Vermaak, Head of Marketing, her work is filled with feel-good stories. As part of the GDA’s fundraising efforts, some of their dogs will be showing off their skills at the annual Lady and Her Tramp event at the Idlewild Country Estate in Gauteng on 4 August 2018. So, if you’ve ever wanted to talk to experts about these amazing dogs, here’s your chance. At JOCK, we’ve been wondering, for instance, whether guide dogs can recognize green traffic lights… The answer is yes and no. “Research has shown that dogs can actually see different colours but not as many shades of colour as humans. Guide dogs are taught to understand traffic through observation and how to know when it is safe to cross the road. So, they don’t follow normal traffic rules or road signs but have a holistic understanding of traffic,” says Vermaak. If you want to know more about the training of guide dogs, check out our article on guide dogs. Or visit the Guide Dog Association’s website to find out how you can make a contribution or start the process of acquiring a guide dog. Behind every guide dog is a legendary trainer. 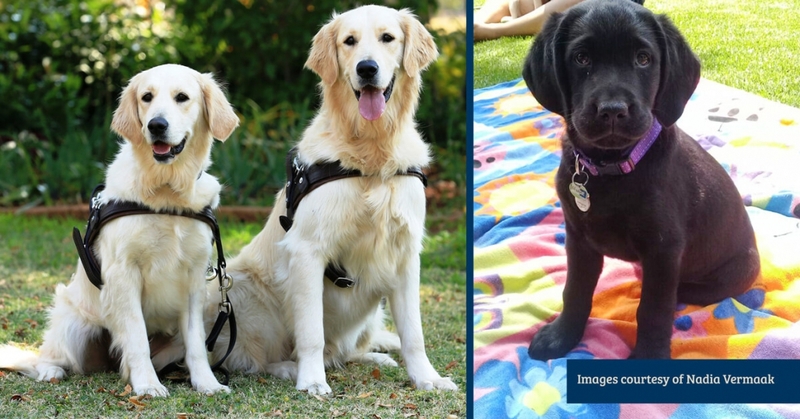 We chatted to the South African Guide Dogs Association who will also be the beneficiary of the upcoming Lady and her Tramp event this weekend. Read about this inspiring organisation on our website and come and meet some of these amazing legends on Saturday at the beautiful Idlewild Country Estate.